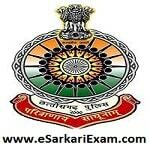 Eligible Candidates can Download Police Constable Admit Card at the Official Website of CG police. Applicants First Logon to CG Police Official Website. Click on Download Admit Card CAF Battalion for Written Exam Link at Home Page. Fill Registration No and Other Details in Empty Fields & Click Submit Button.